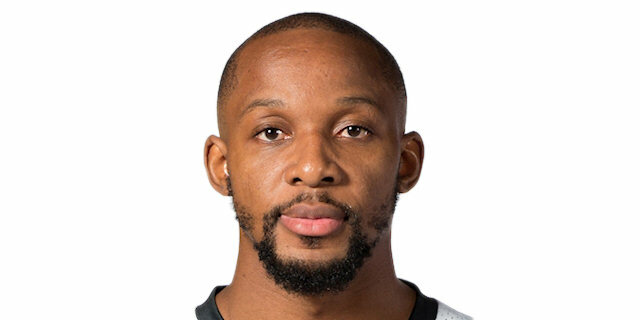 Mapooro Cantu improved its chances to make it to the Turkish Airlines Euroleague Top 16 by thrashing Fenerbahce Ulker Istanbul 82-58 in Desio, Italy on Thursday night. 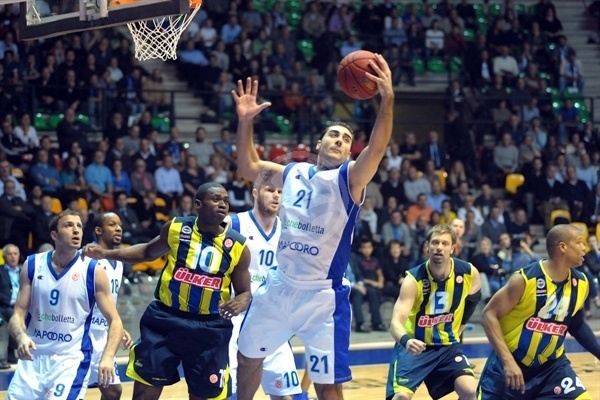 Cantu improved to 2-3 in Group A and Fenerbahce dropped to 3-2. Jonathan Tabu, who saw extended playing time in the wake of Jerry Smith's injury, paced the winners with 16 points and 7 assists. 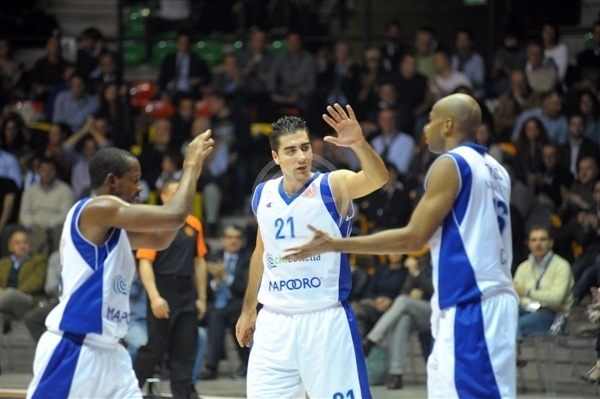 Marco Cusin and Jeff Brooks each added 15 points, while Pietro Aradori scored 14 for Cantu. 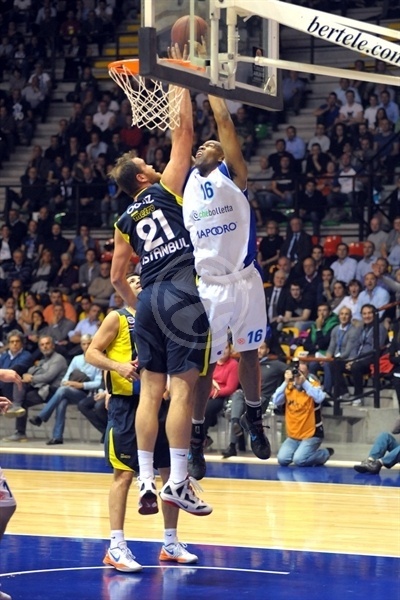 Romain Sato led Fenerbahce with 10 points. 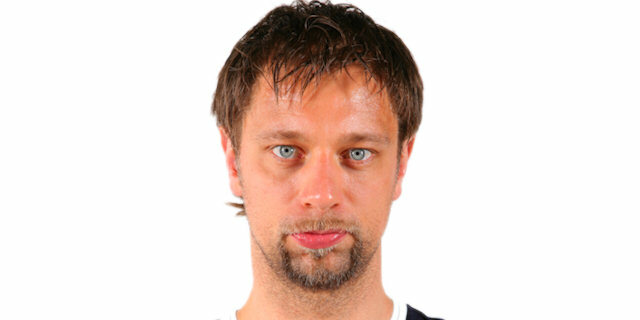 Back-to-back baskets by David Andersen allowed Fenerbahce to get a 5-8 lead. It didn't last long, however, as Brooks and Alex Tyus fueled a 16-2 run that gave Cantu a double-digit lead, 23-12, after 10 minutes. Cantu kept excelling on defense and a tip-in by Maarty Leunen made it 41-22 at halftime. Nothing changed in the second half, as Tabu, Cusin and outstanding defense saw Cantu keep a double-digit lead all the way until the final buzzer. 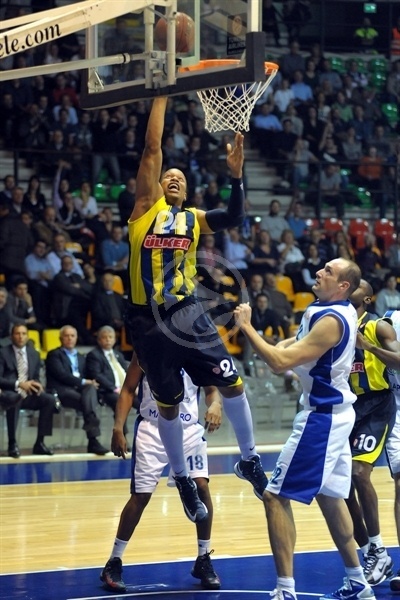 Mike Batiste got Fenerbahce going with a put-back layup and a fast break basket by Sato gave the guests a 0-4 lead. Tabu struck from downtown as Cantu soon adjusted its man-to-man defense. Meanwhile, Manu Markoishvili gave the hosts their first lead, 5-4. Andersen nailed his trademark turnaround jumper and added a six-meter shot to restore a 5-8 Fenerbahce lead. Tabu fired in his second three-pointer and a free throw by Tyus helped Cantu regain the lead, 9-8. Tyus delivered the fantasy masterpiece – offensive rebound, basket, foul drawn and free throw made – but Sato kept Fenerbahce within 12-10. A red-hot Tyus downed a turnaround jumper and a dunk by Jeff Brooks boosted Cantu's lead to 16-10, forcing Fenerbahce to call a much-needed timeout. Brooks scored again and Leunen buried a three-pointer from the top of the key to cap a 16-2 Cantu run. Ilkan Karaman and Brooks traded layups to fix the score at 23-12 after 10 minutes. Karaman shined with a reverse layup early in the second quarter and Bojan Bogdanovic scored in transition, which caused Cantu to call timeout at 23-16. Brooks hit a mid-range jumper and followed that with a three-pointer off the glass that brought the crowd to its feet at 28-16. 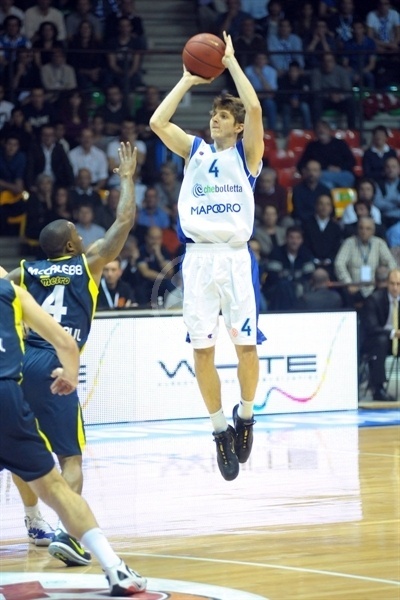 Bogdanovic and Pietro Aradori traded baskets and a turnaround jumper by Marco Cusin made it a 14-point game. Bogdanovic scored again, as Cantu tried to slow down the game tempo after the guests entered the foul penalty. Cusin took over with a tip-in and Tyus’s split foul shots made it 35-20. Sato, now playing power forward, and Nicolas Mazzarino traded layups. 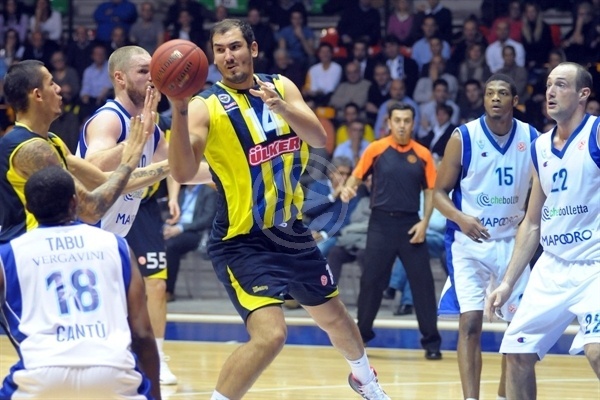 Fenerbahce tried a more offensive-minded lineup with Sato, Bogdanovic and Omer Onan together on court. Tyus dunked and an acrobatic tip-in by Leunen broke the game open, 41-22. Bo McCalebb answered from downtown and Andersen added free throws to bring Fenerbahce within 41-27 at halftime. Markoishvili hit a mid-range jumper right after the break but Andersen erased it with a rainbow turnaround jumper. Cusin nailed a five-meter jumper and added a two-handed put-back slam to set the crowd on fire at 47-29. Aradori took over with an acrobatic layup in transition that made it a 20-point game, 49-29. Fenerbahce called timeout and Batiste tried to change things with a fast break slam. Aradori answered with free throws but Onan bettered that with a triple for a 51-34 score. 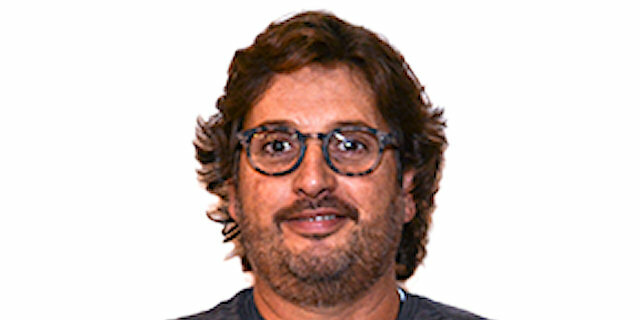 Aradori struck from downtown, as Cantu kept playing with high intensity and concentration at both ends. Sato swished a tough jumper but Tabu improved that with a triple to boost the hosts' lead to 57-36. Onan answered from downtown and Sato added a long two-pointer right after that to give Fenerbahce some hope, 57-41, at the end of the third quarter. Fenerbahce needed a quick comeback to keep its chances alive, but Markoishvili scored around the basket for a 59-41 Cantu lead. Karaman stepped up with a three-point play and a driving layup by Baris Ermis caused the hosts to call timeout at 59-46. Cantu tried a taller lineup with Brooks, Leunen and Tyus together on court. Tabu hit a floating jumper and bettered that with a three-point play that sealed the outcome, 64-46, with less than seven minutes to go. Both teams kept fighting for point-differential, a potentially critical issue in such a balanced group. Ermis and Bogdanovic scored around the basket, but Aradori and Cusin kept Cantu way ahead, 68-50. Batiste hit a close jumper only to see Cusin and Aradori restore a 74-54 Cantu margin. 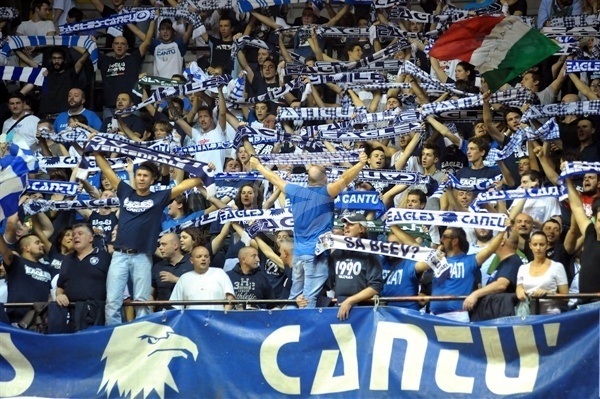 Nothing changed in the final three minutes, as all Cantu fans kept singing and dancing in the stands, celebrating that their team had recorded one of its biggest wins in recent Euroleague seasons. "I'm very happy because we played a perfect game, maybe one of the best since I've been in Cantu. We played at our best: the defense paid a lot of attention and we didn't make many mistakes. Therefore we led the game from the very first shot. Tonight my players played an excellent game, accepting a hard challenge from one of the most important teams in Europe. The victory is the consequence of a very strong concentration; each player was important and we reached this goal all together." "First of all, I congratulate Cantu for the great game. There's not much to say: Cantu played this game with the desire to win. At first they seemed to be scared of us, but then they started to take control of the game. We made some mistakes and missed many easy shots, but they put great energy in their rebounds and led the game for 40 minutes. We must grow up together and do our best to get two more victories in order to qualify from this tough group." "I'm very happy with this team performance. 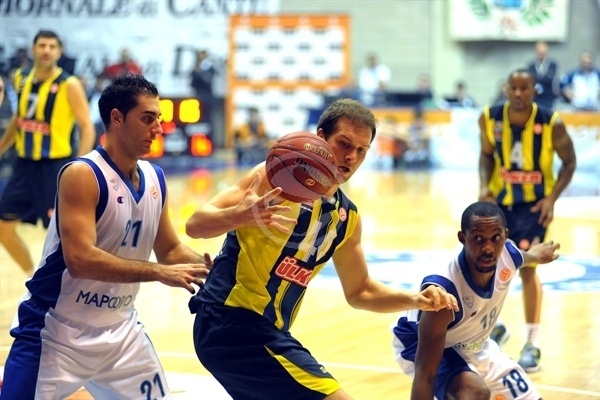 Our defense was very strong, so we were able to stop the offense of Fenerbahce. I did my best to lead the team, because the absence of Jerry Smith is very heavy for the team. The first two shots from long distance gave me confidence and made my game easier." "This game was very hard for us, and we couldn't compete with a great team like Cantu. I did my best and even took a lot of difficult shots. We should look forward and keep working harder and harder."